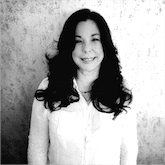 Jeanette is a licensed esthetician, with more than 15 years experience. Jeanette grew up around her mother’s well-known “Facemaker Spa” on Miami Beach and works several days a week with one of Miami’s most respected cosmetic dermatologists. Most recently, she spent the last several years as a lead esthetician at Sean Donaldson Hair near Lincoln Road. She absolutely loves her profession, she is a big proponent of SkinCeuticals products and she takes pride in treating each client as a member of her family (..many of her clients have been clients of her family for decades!). You’re in trusted hands with Jeanette and she is with us 2 days a week (Habla español tambien). The entire team at McAllister Spa is happy to talk with you regarding your esthetic needs. We love emails from clients and customers (it’s just how we do things!). If you want to discuss anything related microdermabrasion, facials or oxygen treatments, drop an email to Jeanette. And if you are wondering which of the many Dermalogica and SkinCeuticals products carried at McAllister Spa might be right for you, just drop Jeanette an email by clicking the orange link below.